Update: if you are using version lower than 2.2.11, please upgrade and publish config file again (remove your current one). There are a few major improvments on Blade usage, please read instructions. I guarantee that bugs, issues, features and changes will be responded in 48 hours. If you only need to use Vue component, feel free to copy it. Google reCAPTCHA v3 is a new mechanism to verify whether the user is bot or not. 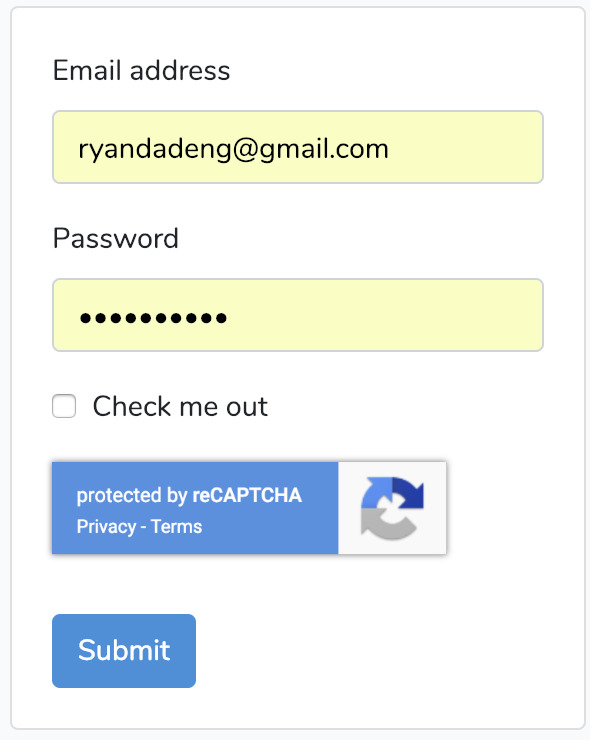 For example, a registration page might still use reCAPTCHA v2 for a higher-friction challenge, whereas more common actions like sign-in, searches, comments, or voting might use reCAPTCHA v3. Please ensure that you have read basic information from Google reCAPTCHA v3. If your Laravel framework version <= 5.4, please register the service provider under your config file: /config/app.php, otherwise please skip it. If your Laravel framework version is >= 5.5, just run the following command to publish config. After installation, you should see a googlerecaptchav3.php in your app/config folder, and vue component under js/components/googlerecaptchav3 folder. Please register all details in config for host_name, site_key, secret_key and site_verify_url. Specify your Score threshold and action in 'setting', e.g. Note: if you want to enable Score Comparision, you also need to enable is_score_enabled to be true. For score comparision, all actions should be registered in googlerecaptchav3 config file under 'setting' section. For more details please check comments in config file. You can directly use registered facade service by calling the following methods. setAction() is optional only if you want to verify if the action is matched. verifyResponse() which accepts the token value from your form. 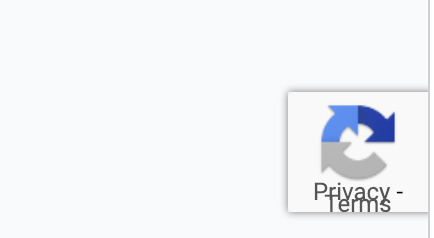 This returns Google reCAPTCHA Response object. setScore() is optional only if you want to manually verify the score. If you manually assign a value to setScore($score), the code will fully skip your config file and force to check the score. You can use provided Validation object to verify your reCAPTCHA. $actionName: if its NULL, the package won't verify action with google response. 'background_badge_display' => true, // if false, the badge will be invisible, if true the badge shows at bottom right. If the page has not detected any Action or duplicate google script, the background mode will be enabled. 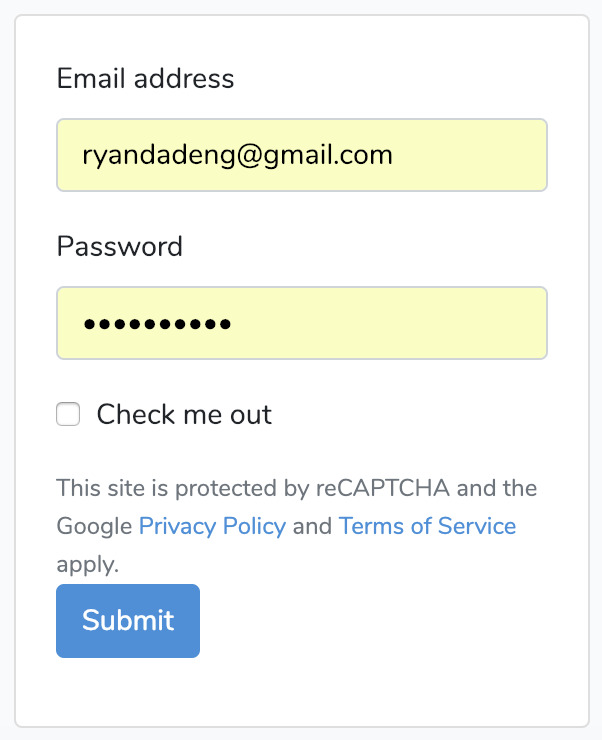 There are three methods to populate the reCAPTCHA within the form. renderField() needs always to be placed within your form. If your settings were not reflected, please run php artisan config:cache to clear cache. Badge will be displayed as inline format within the form. <a href="https://policies.google.com/terms">Terms of Service</a> apply. Your badge will be shown in the bottom right side. The package provides a lightweight vue component. You need to publish the vue component before playing around it. The file will be created under js/components/googlerecaptchav3/GoogleReCaptchaV3.vue, you have full control and modification ability on this file. A BIG thanks to @Fluxlicious who improved the vue component. Supported: siteKey, id, inline and action, check the original file to see the details. There are two ways you can bind site key to the component. Alternatively, I believe most of cases your site key will never be changed, so you could just modify the original published component to have sitekey hard-coded in. Thank you for the following contributors, You guys are the BEST! If you discover any security related issues, please email ryandadeng@gmail.com instead of using the issue tracker.